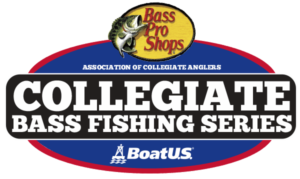 Tonight marks the eve of the first tournament day for the 2018 Cabela’s Collegiate Big Bass Bash presented by Berkley. 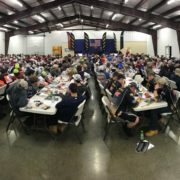 Nearly 475 collegiate anglers have made their way to Kentucky Lake and Paris, TN to compete for $35,000 in prizes and awards. Tournament festivities will kick off tomorrow morning beginning with a trailered boat check at the weigh-in site. This event will be a trailered start. Upon arrival at the ramp of their choice, anglers will be permitted to make their first cast beginning at 7 am. As it sits tonight, Kentucky Lake is at 363.42 feet elevation. By midnight tonight the lake is expected to drop down to 363.14 feet. The fluctuating lake levels will be a key factor to keep an eye out for through the weekend as the elevation at midnight on Sunday is projected to be around 360 feet. That is a significant drop that could take place between now and the conclusion of the tournament. The weather is looking to be fairly good over the wing, given the nature of early spring time weather. Anglers will be greeted with fairly mild temperatures tomorrow as highs will reach into the upper 50’s. On Sunday, one added variable that could impact fishing is the chance for rain. Right now, there is an 80% chance for precipitation on the final tournament day. Now let’s shift focus to the fishing. Kentucky Lake is producing a good number of quality fish right now. Winning weights for recent tournaments have averaged around 25 pounds. For a five fish limit, this is an average of five pounds per bass. If the pictures we have received throughout practice are any indication, it could take a fish significantly bigger than that to take home the prize. The patterns that will produce are a little less clear to determine. Standard spring time staples are guaranteed to play a factor. Crawfish and shad pattern reaction style baits like crankbaits and lipless crankbaits will be tied on many of the angler’s lines. Other options will be of the slower, more methodical variety. Jigs and finesse style presentations like a shaky head paired with a finesse style worm will also see some play. Now, where will the fish be positioned? The consensus is these fish are pulling back off the bank and setting up on the first bit of deeper structure they come to. Falling water levels will cause fish to act like this. The deeper cover provides the bass more safety, and shelter than the ever disappearing shallow cover. The stage is set for a big time event on Kentucky Lake this weekend. Anglers are anxious to get this thing started and go in search of some giant bass. Continue to check back to our website, and various social media channels for tournament coverage. We will be providing updates, photos from on the water, as well as weigh-in coverage beginning tomorrow morning. Live Blog: March 9 – Final Practice Day! Live Blog: March 10 – Tournament Day 1!